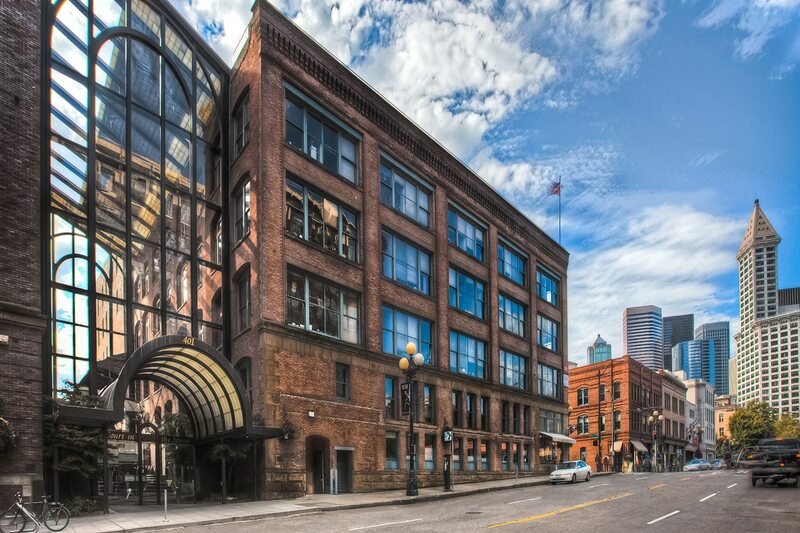 Located in Seattle’s dynamic and accessible Pioneer Square Historic District. Freeway access – Only minutes to I-5, I-90, and SR 99. Public transportation hub – Close proximity to King Street Station, with easy access to Metro bus routes, Sounder train and Link light rail. Convenient for bicycle commuting, with on-site bicycle storage and shower rooms. Retail and dining – Unique and eclectic neighborhood shopping experiences, and many chic dining options from nearby boutique restaurants and cafes. Landmark building situated within the Pioneer Square Historic district, a prestigious Seattle neighborhood recognized for its unique mix of office, retail and residential properties. Great accessibility in a neighborhood considered “a Walker’s Paradise” and “the 3rd most walkable neighborhood in Seattle” by Walk Score. Easy access to I-5 and I-90, the area’s primary freeways. The Royal Brougham off-ramp from I-5 and I-90 provides direct access to the major arterials. Close proximity to public transportation; conveniently located near King Street Station, with easy access to Metro buses, Sounder trains and Link light rail. The Pioneer Square neighborhood offers many chic dining options from nearby boutique restaurants and cafes. The Goldsmith Building is comprised of six stories and penthouse suites, while the Northcoast Building has four stories and penthouse suites. Northcoast tenant spaces feature open beam high ceilings, with suspended lighting fixtures and exposed ductwork. 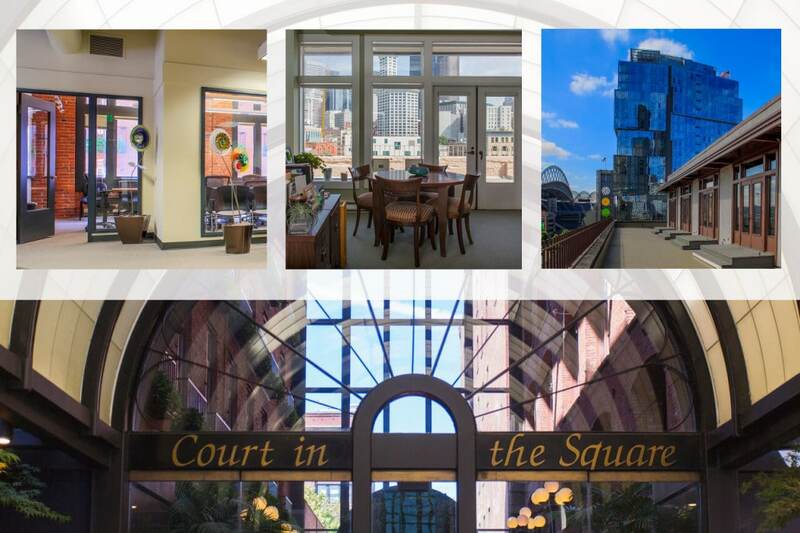 Office spaces range from approximately 800 to 11,700 rentable square feet. Additional tenant storage space is available. 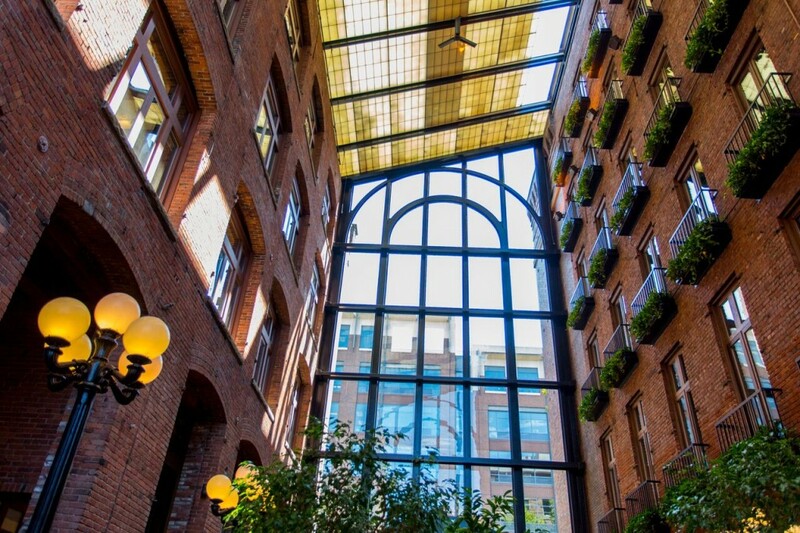 A seven-story glass atrium connects the Goldsmith and Northcoast buildings, giving the project its unique architectural identity within the Pioneer Square Historic District. The courtyard area, known as the Grand Lobby, is a premier location for private parties and other events and social functions. The open air ceiling, reflecting pond, classic lampposts, and natural plantings give the space a unique ambiance. Two restaurants and a coffee house are available on-site for tenants and visitors. A building conference room is available for use by tenants at no charge.